Pianist Colin Alexsei Shepard was born and adopted from St. Petersburg, Russia and started studying choir and piano at an early age. 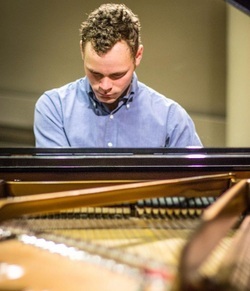 He is currently the principal keyboardist of the Portland Columbia Symphony Orchestra, the main accompanist for Opera Theater Oregon, and is a regular accompanist and coach for vocal studios at Portland State University. Additionally, he plays piano for the Portland State Chamber Choir under the director of Dr. Ethan Sperry and is a music director for Kairos-Milwaukie United Church of Christ.